Poor customer service costs U.S. businesses $41 billion per year, and missed calls are a big part of the problem. About 75 percent of people who get an answering machine when calling a business hang up, leading to lost opportunities and income. Hiring a receptionist is a simple solution, but not every business owner has the money to support another full-time employee. If you need an affordable way to stay on top of messages and handle the calls you can’t take, a virtual receptionist could be the best solution. When you walk into the offices of a large corporation, you’re likely to see several people sitting at the front desk, working on computers and taking calls from customers and clients. 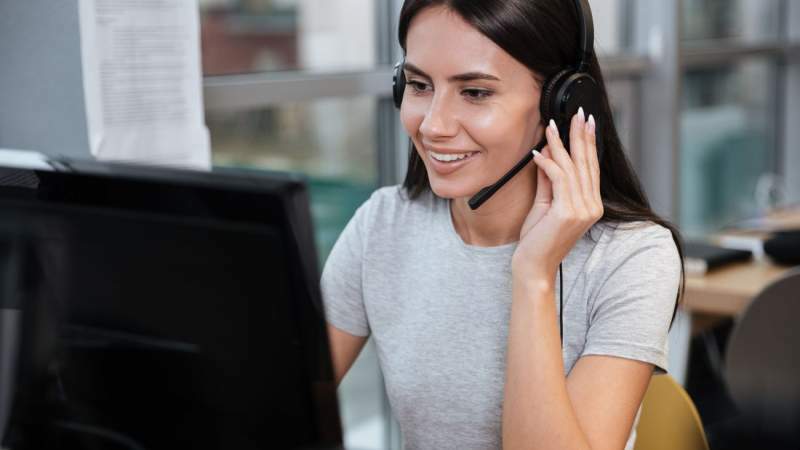 Although this remains a common sight at companies with the budget to afford a high level of administrative support, many smaller companies are choosing to use virtual receptionist services instead. Virtual receptionists do everything regular receptionists do while working from remote locations. Instead of sitting at a desk at your place of business, they perform their jobs from an off-site call center or virtual receptionist service. When you sign up for services, you hire one or a group of these receptionists as contract workers instead of employees of your business. They’re trained by the service for which they work so that they’re prepared to handle customer inquiries and perform other clerical duties. Businesses using virtual reception services set up a call forwarding system in which calls to the company are routed to the receptionist instead of to the main business line. Other services offer a single number connected to the call center, and you can use this number on your website and in promotional materials to direct customers to your virtual reception desk. Unlike hiring a secretary to work at your company, you don’t have to pay for a full-time virtual receptionist if you don’t need continual help. This means you can increase the level of service as your company grows and scale back during times when business slows down. Some services also offer additional assistance to relieve you from the burdens associated with daily upkeep of your company. What Services Can Virtual Receptionists Provide? The most basic service a virtual receptionist offers is to answer calls from customers. However, you get much more than a person to pick up the phone when you’re busy. When a customer is routed to your receptionist, he or she immediately gets to speak with a live person who can answer questions or redirect the call to the proper department. Instead of getting frustrated playing phone tag with your answering machine or being transferred to voicemail, customers have access to help whenever they need it regardless of how busy you are at the office. If a message does need to be relayed to you when you’re unavailable, your virtual receptionist ensures you receive it. In industries where appointment booking is an essential part of doing business, virtual receptionists can handle scheduling. Some offer appointment reminders to ensure you never miss meetings with important clients. Virtual receptionists are also invaluable when it comes to improving customer service. Many modern solutions include CRM integration so that information from calls goes directly into your CRM platform, creating a record of all customer interactions. Your receptionist can pull up information on individual customers to personalize calls and provide a seamless experience every time. Many of these benefits involve satisfying the modern consumer’s desire for instant gratification. People are used to being able to interact with companies on their own time, and the concept of business hours has become blurred. When you have a virtual receptionist, your phones are covered 24/7 every day of the year. You don’t have to worry about missing important calls if you must leave the office unexpectedly or losing business from an entire audience segment because you can’t answer the phone at a time convenient for them. Using a virtual receptionist service for your business can solve you customer service problems at a lower cost and with greater benefits than hiring a full-time secretary. You’ll not only enjoy a better relationship with your customers but also a more manageable schedule and more time to devote to productive tasks. Compare the available services to find the best virtual receptionist for your company, and start using the time you used to waste on administrative duties to focus on long-term growth.